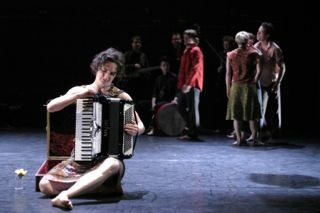 In Tziganes, choreographed by Serge Bennathan with Dancemakers. Julia plays piano and accordion. She founded and led Hell’s Bellows, an all ladies all accordion band. She performed with Patricia O’Callaghan with Heartsong. She shares a Dora Mavor Moore Award for Sound Design with John Gzowski. In 2016, she created the full length music and sound score for choreographer Gerry Trentham’s Art of Peace at Fort York, Toronto.